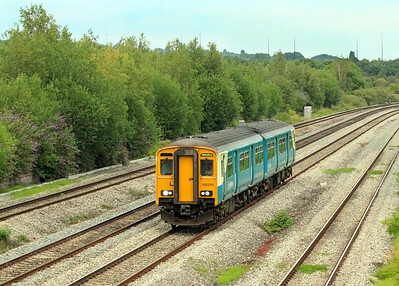 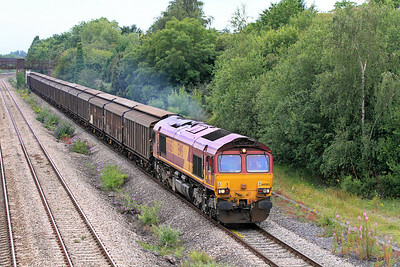 A visit to Undy, South Wales on the evening of Tuesday 12th July to see the Class 56 on the scrap train. 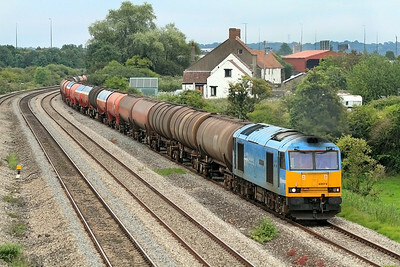 The weather was extremely dull, thank goodness for 1250 ISO ! 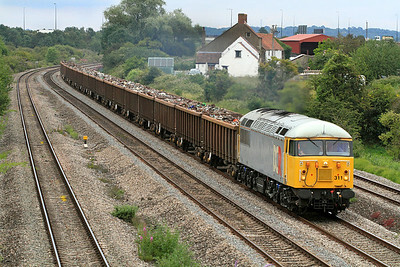 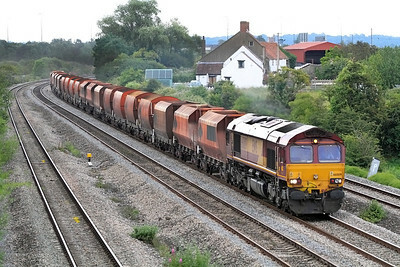 56311 heads a very healthy load of scrap as the 6Z56 10.30 Grimsby Town to Cardiff Tidal passing Undy on the fast. 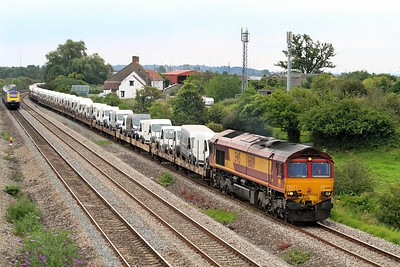 Tuesday 12th July 2011. 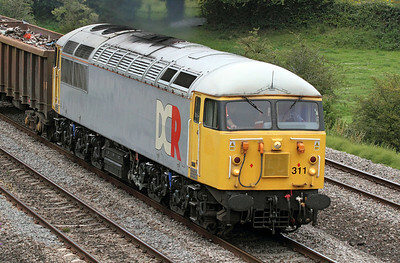 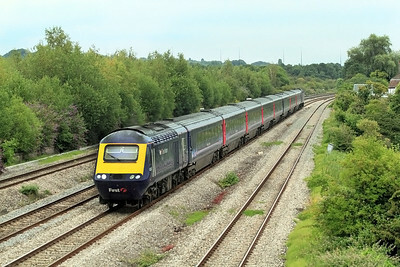 43193 & 43168 power the 18.15 Paddington to Swansea past Undy. 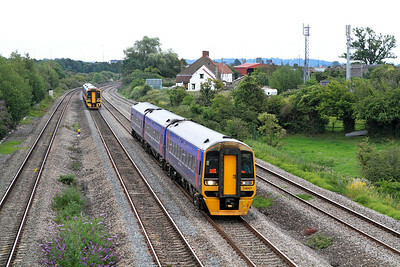 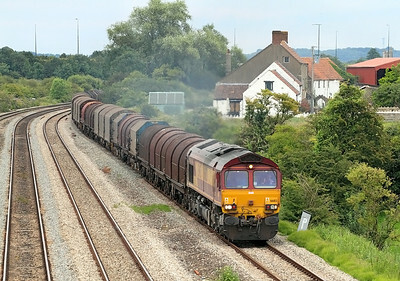 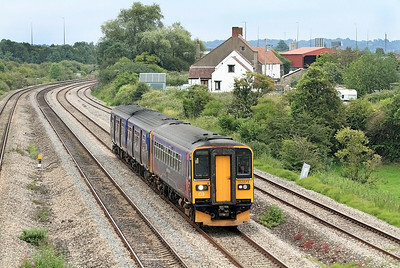 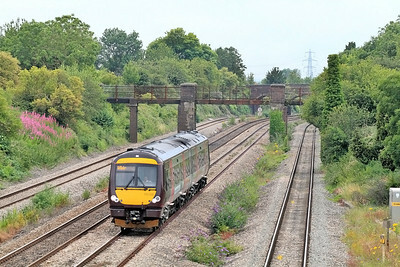 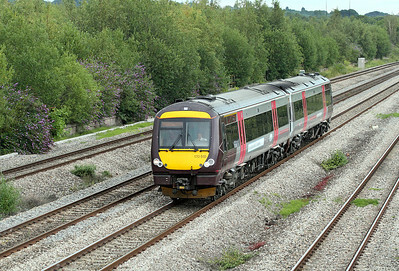 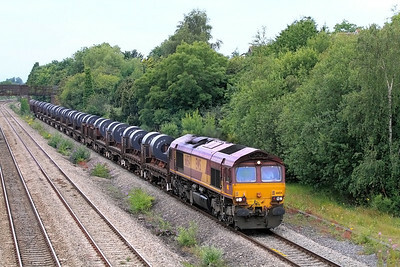 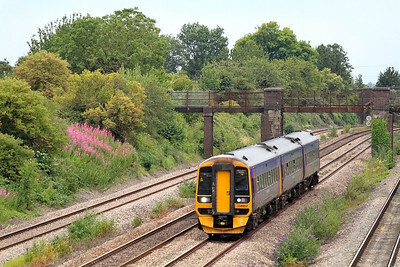 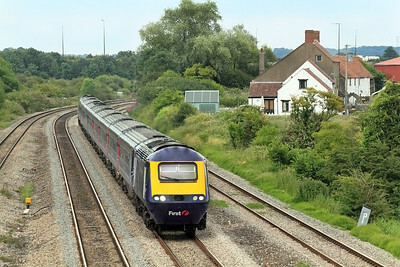 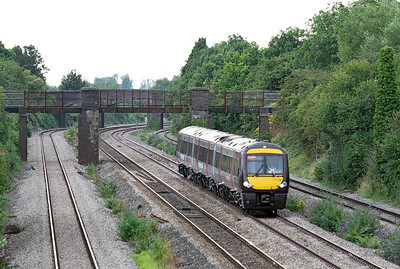 12/07/2011 The area behind the train now covered by trees used to have a large quantity sidings there.